If you suffer from varicose veins, you know how painful they can be. You could be suffering from swelling, night cramps, pain, edema, bruising and fatigue. These symptoms may start out small, but often times progress so intensely that your daily life activities are affected negatively. If left untreated, these veins can lead to very serious complications that in some cases can even be life-threatening. 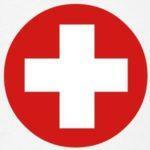 Ulcers and blood clots are the very dangerous complications and they are fatal. 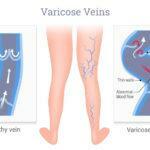 It is important to know about the varicose vein disease and how you can prevent it before the condition worsens. You can also learn about preventive tactics so you can lower you chances of the disease establishing. cut, healing will not happen very quickly and can lead to further complications. If this happens, apply pressure and seek medical help as quickly as possible. 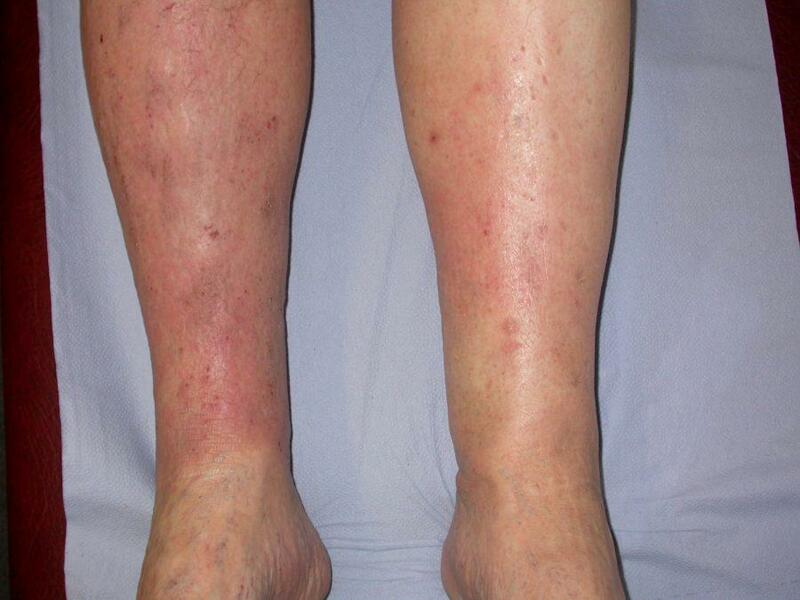 Varicose eczema is another result of untreated varicose. It can cause your skin to become flaky, scaly, and can form blisters. 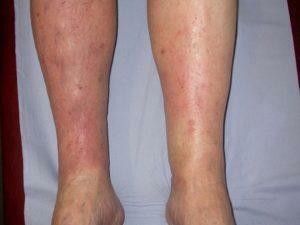 Varicose eczema is a chronic condition and will probably not disappear. That said, it should not lead to serious complications and can be treated with moisturizers, ointments, or wearing compression stockings. Another condition known as Lipodermatosclerosis can be caused by varicose veins as well. This condition can lead to a great deal of discomfort around the calf area. Skin near your calf will become very taut and very sensitive to the touch or from clothing rubbing against the area. Your skin will often have brown or red discolorations. Pain, swelling, night cramps and inflammation are some of the most common symptoms of varicose veins. When the valves inside your veins are not working properly due to the varicose vein disease, blood starts to internally drip down your leg. Imagine a sink faucet that has a leak. Your legs mimic this and eventually you have a pooling of blood in your leg. The tissue around the area will be swollen from these blood cells, causing a great deal of pain, further swelling, discoloration, and inflammation. If left untreated for a long period of time, the skin and tissue can form ulcers which are not only painful but very difficult to treat. Are Untreated Varicose Veins Fatal? There is a rare but potentially life-threatening condition known as Deep Vein Thrombosis which results from untreated varicose veins. The Deep Vein Thrombosis, DVT, is when a blood clot forms in the lower leg or thigh area. Blood clots cause serious blockage in your veins and arteries. Blood clots must be treated immediately because blood clotting can be fatal if the clots reach your lungs. DVT is usually detected with a pulling sensation in the leg and calf muscles. Other symptoms include redness, a warm sensation, and swelling. Those over the age of 60. Those who have recently gone through surgery. Women who are pregnant or recently given birth. Those who suffer from blood clotting disorders. Those who have been immobilized or paralyzed for a long time. If DVT is detected, it is imperative to see your vascular surgeon immediately to have the condition treated. Dr. Peter Mann is a Vascular Surgeon with two decades of experience treating DVTs and will take care you. Varicose veins can be treated with affordable and state-of-the-art procedures. Don’t let varicose veins remain untreated because your decision could lead to serious health issues that are unnecessary. Dr. Peter Mann and his staff at The Secret Vein Clinic are dedicated to helping patients have healthy legs.